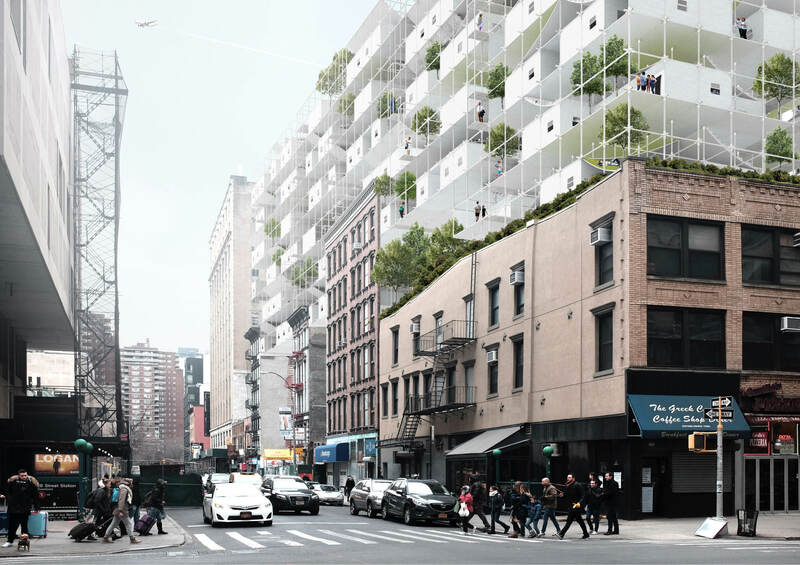 The New York Affordable Housing Challenge arises from a critical awareness of the various demands that shape contemporary urban experience. 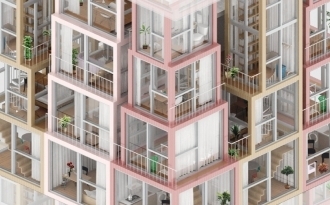 In the thick of an historic period, an apogee of capitalism and globalization, a profusion of issues abound in the city: concurrent growth of population, services, and economic opportunity, in parallel with disparate inequality and inflationary real estate. 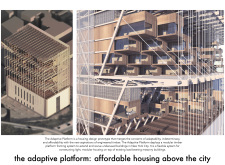 For many, the consequence has lead to a housing market vastly out of reach, either by affordability or geography. 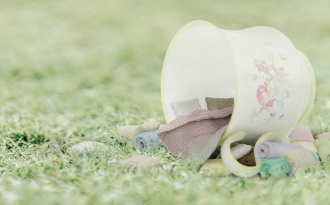 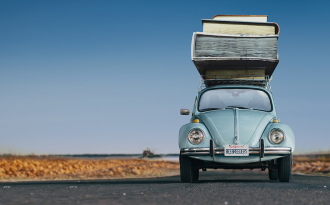 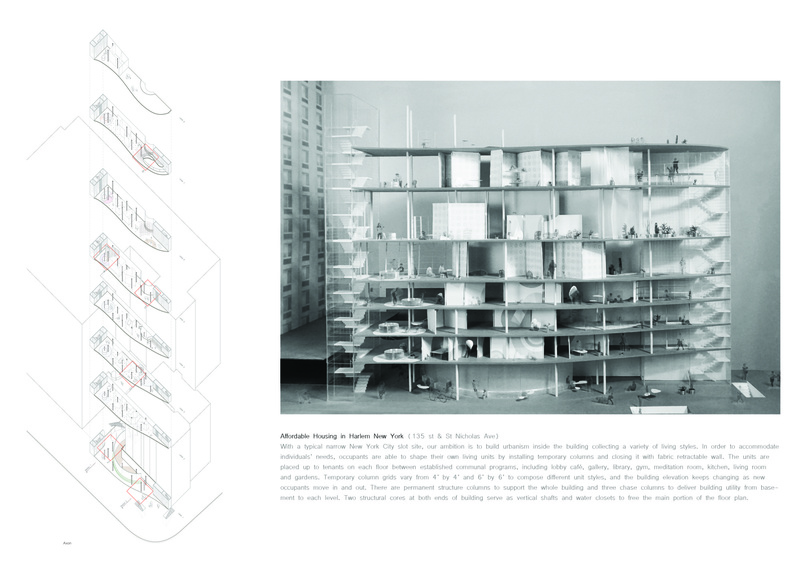 A culture once distinguished by ownership and private property is stipulated by lease and scarcity. 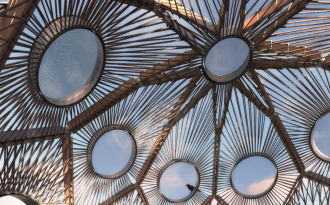 This competition recognizes the responsibility of architecture and its discipline in a systemic issue entwined between the built environment, policy, economics, and culture. 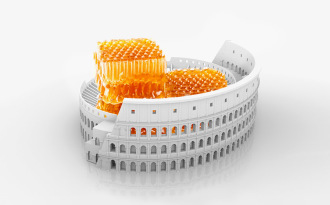 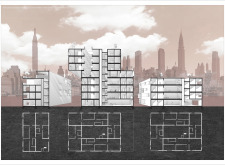 Successful entries challenge conventional and precedented architectural solutions, to an issue in all fairness, unique in scale and proportion. 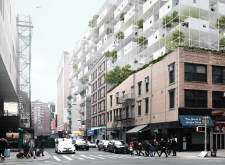 Well considered submissions engaged polyvalent solutions, to sites scattered throughout the greater metropolis of New York City. 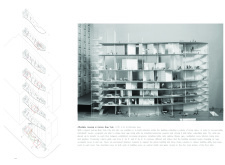 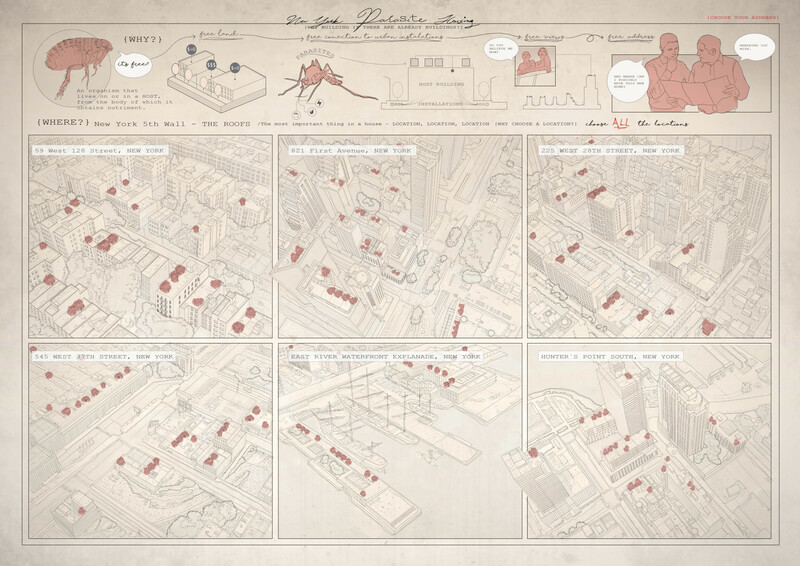 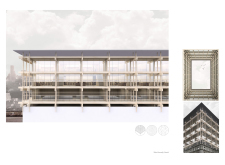 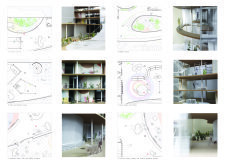 Projects most notable pursue invention through the agency, and instrumentality of an architectural element or system, redefining the culture, economy, and experience of urban domesticity by means of space, material, morphology, or structure. 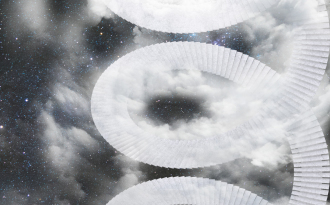 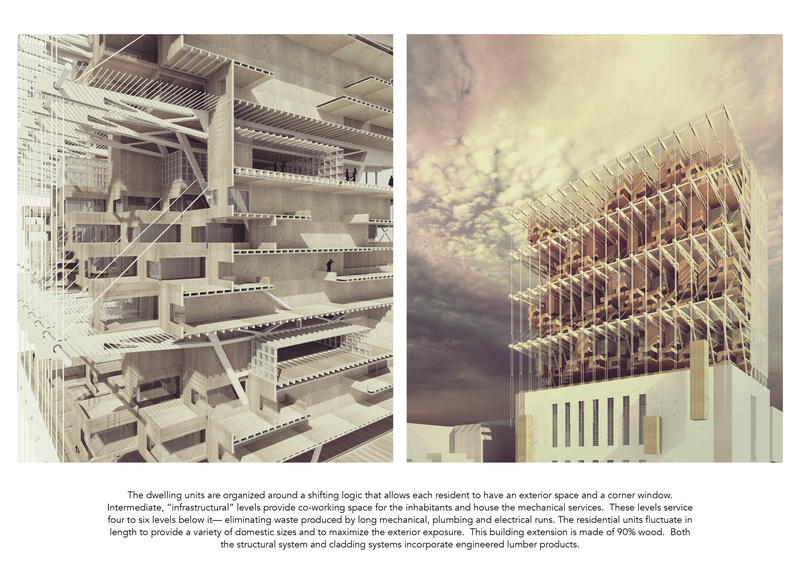 These projects are distinguished by rationality, singularity, and imagination. 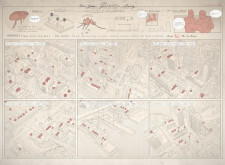 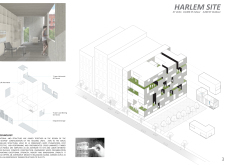 New York Affordable Housing Challenge competition winners revealed! 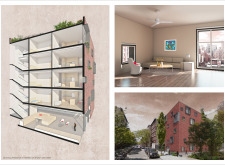 New York Affordable Housing Challenge Winners and Honorable Mentions in New York Build expo! 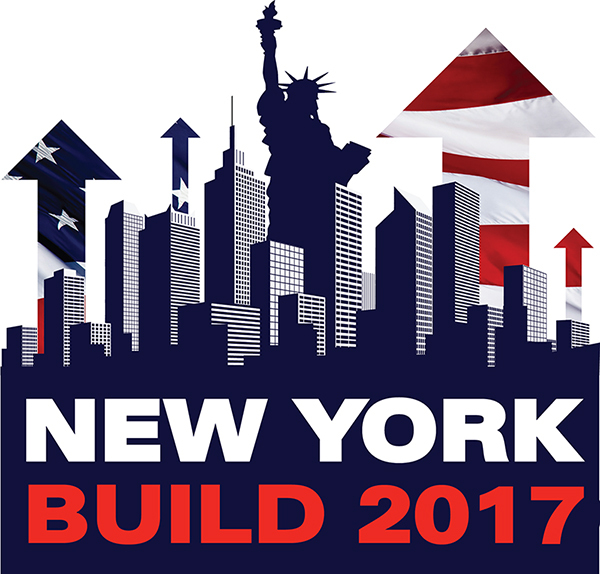 New York Affordable Housing Challenge - Two new jury members! New York Affordable Housing Challenge “Rising Star Award” winners offered internship with Architecture in Formation! 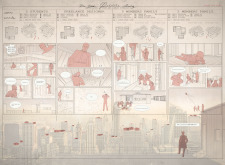 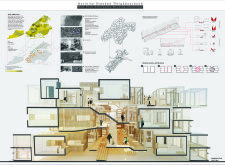 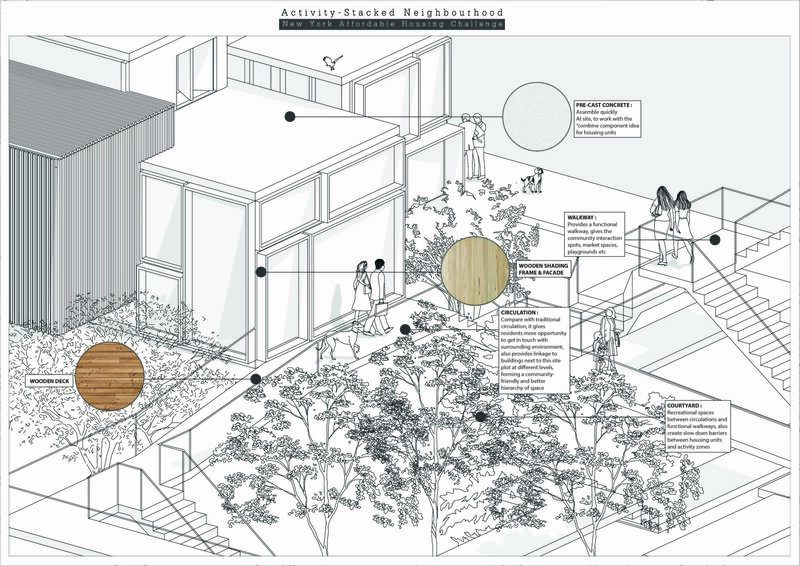 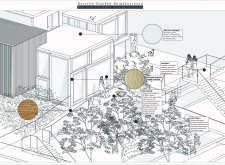 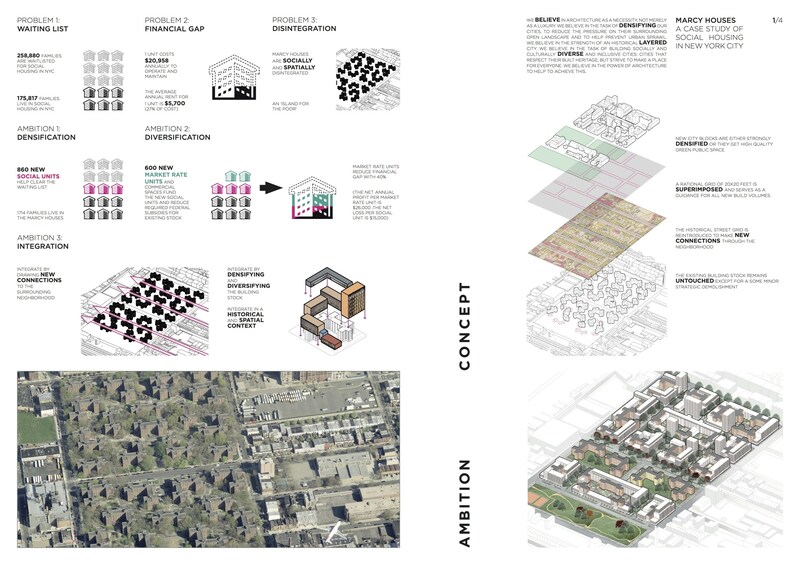 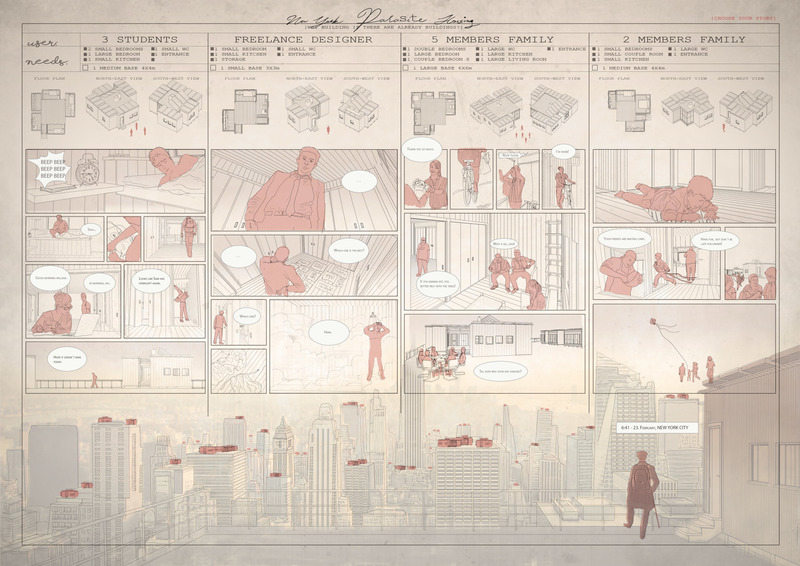 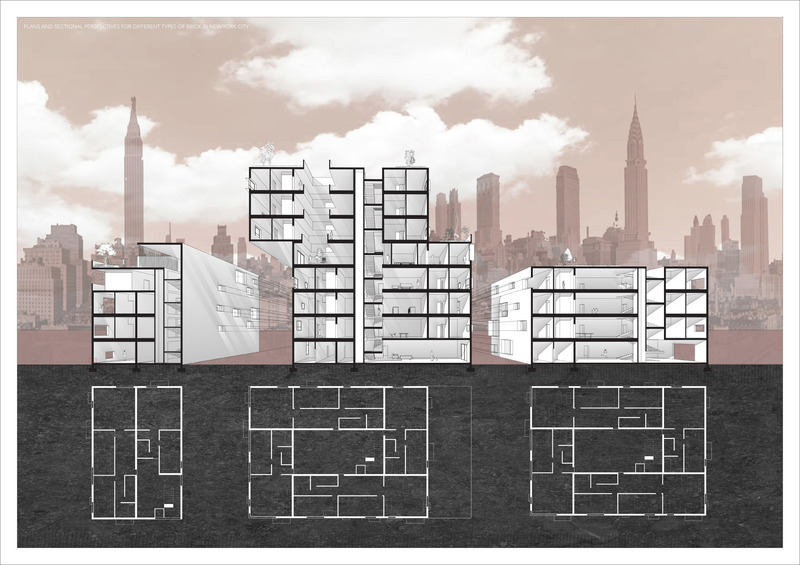 The success of the first place proposal for the New York Affordable Housing competition lies in its use of a few simple modular elements aggregated to create a heterogeneous whole which serves to generate new modes of interaction between the inhabitants, their neighbors, and the public. 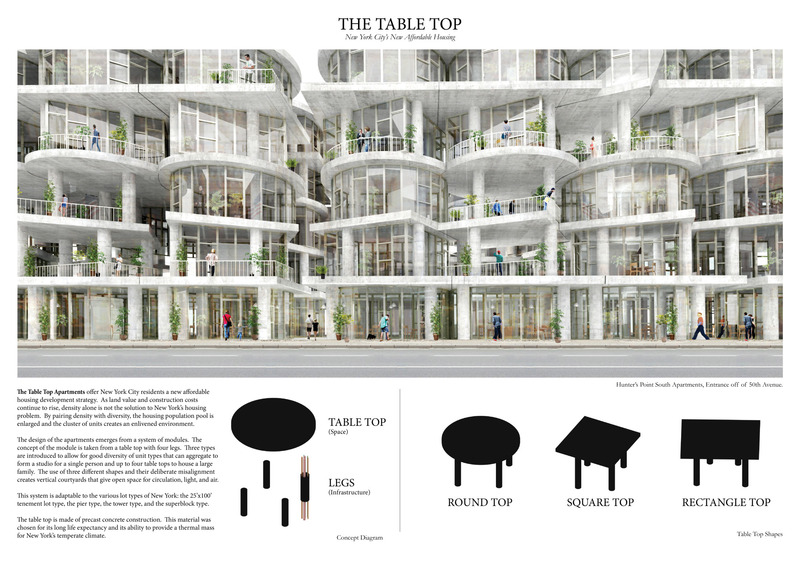 Three basic unitized forms - circle, square, and rectangle - each made up of a slab and four columns stack, rotate, collide, and aggregate to create different unit types. 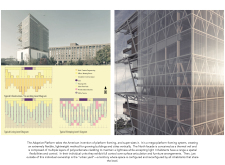 The associated cost of the formal relationship between units is offset by the basic post and slab construction system of precast concrete. A simple storefront glazing system mediates between the units and the exterior while wood cabinets enclose private spaces and bathrooms. 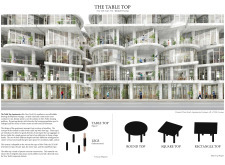 These stackable “table tops” are also scaled and dimensioned to adapt to disparate site conditions, from a one unit wide walk-up, to a tower with setbacks of cascading balconies. 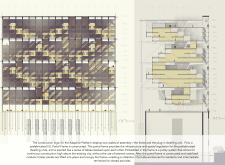 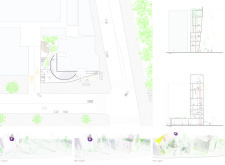 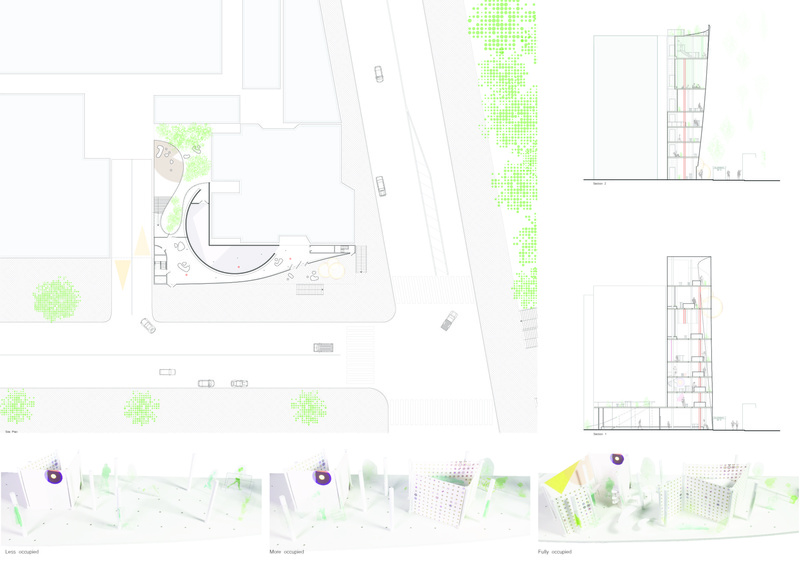 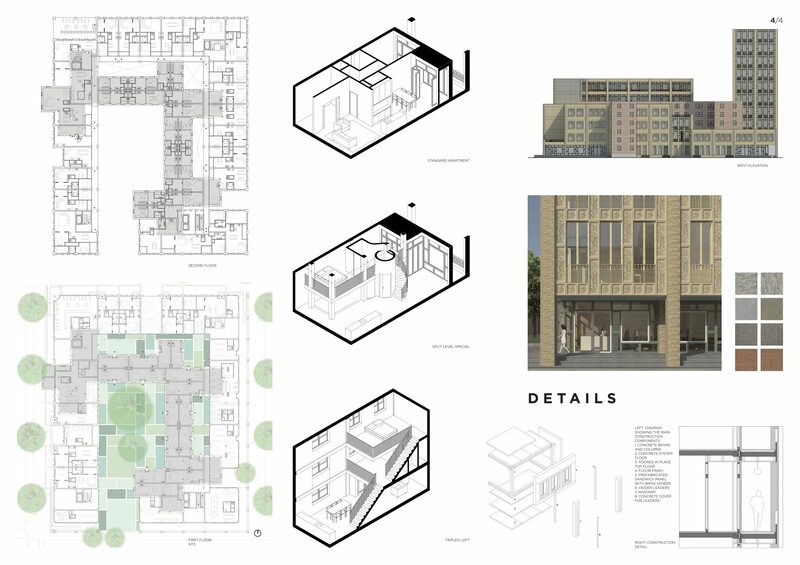 Most importantly, the rotations and collisions create apertures in the slab between units which form a liminal realm that serves as both public circulation and communal courtyards. 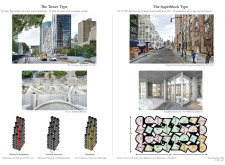 These spatial juxtapositions generate unique thresholds, serving as intimate spaces for prolonged or chance encounter reflecting an updated notion of the stoop or porch ideal in the age of distraction. 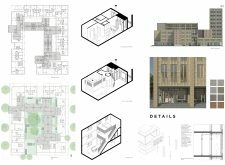 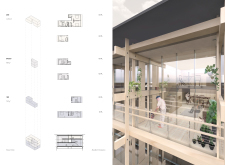 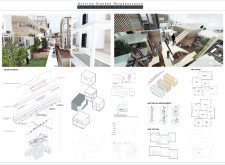 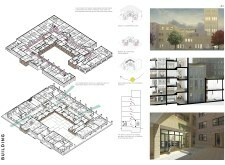 The second place proposal stands out for its successful implementation of modular units to create a morphological housing strategy. Drawing from Le Corbusier’s unit type for the Unité d'Habitation, the second place proposal employs an L-shaped housing unit, both in plan and section, to create a variety of massing arrangements. 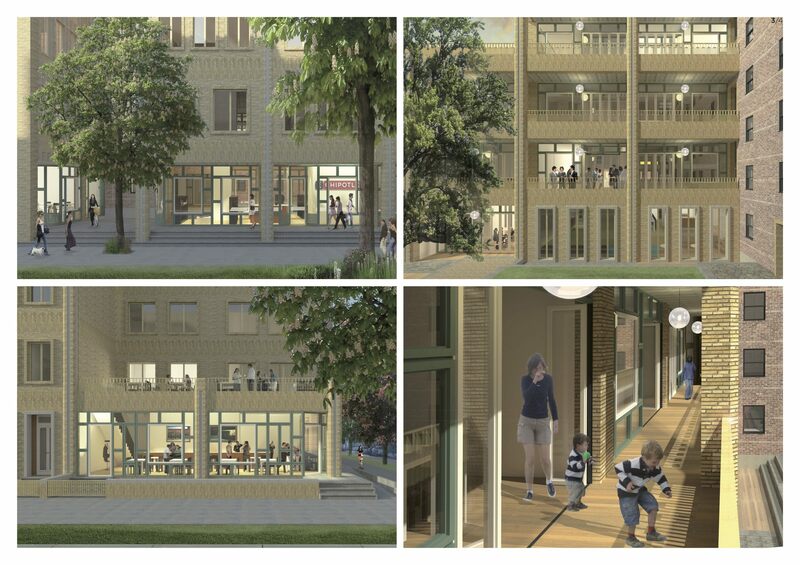 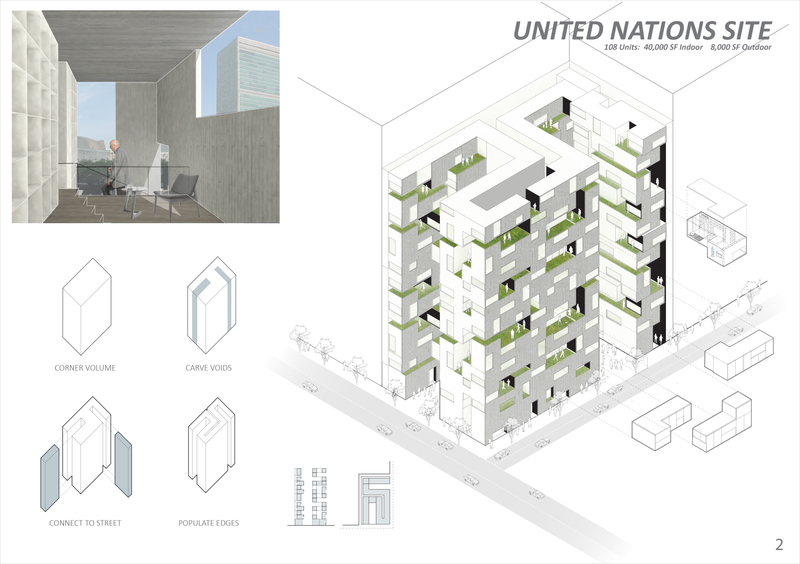 Rather than proposing a dense housing block of modular components, the combination achieves various organization and form uniquely weaving exterior space throughout. 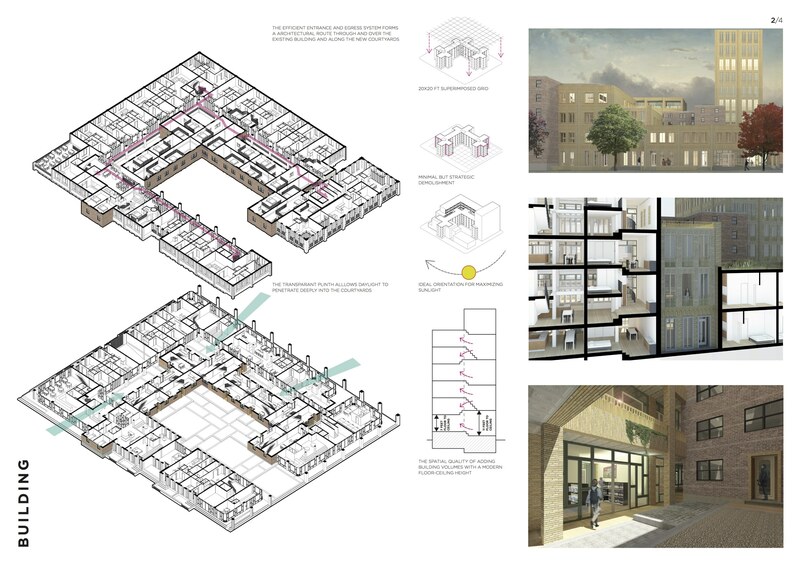 The courtyards developed between units break down traditional barriers between public and private in social housing, creating opportunities for public engagement between neighbors and the city at large. 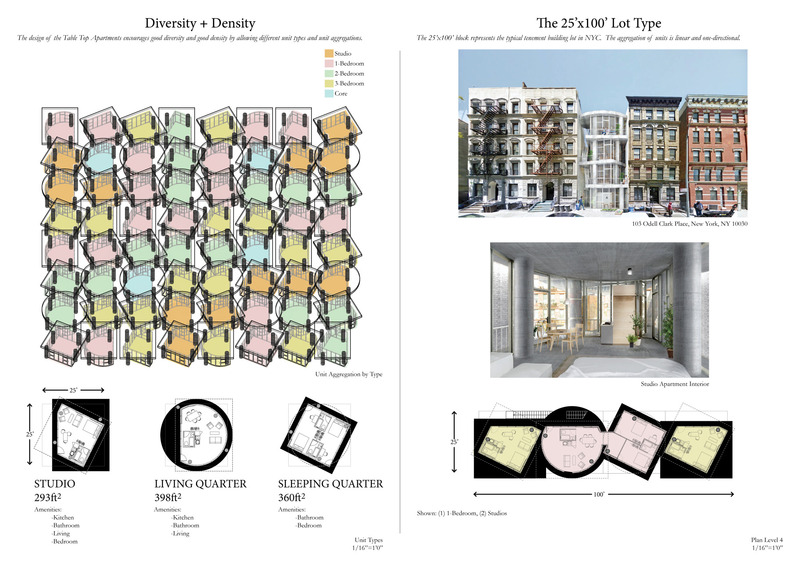 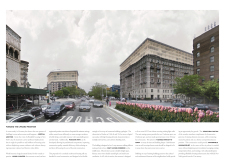 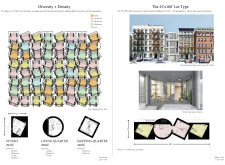 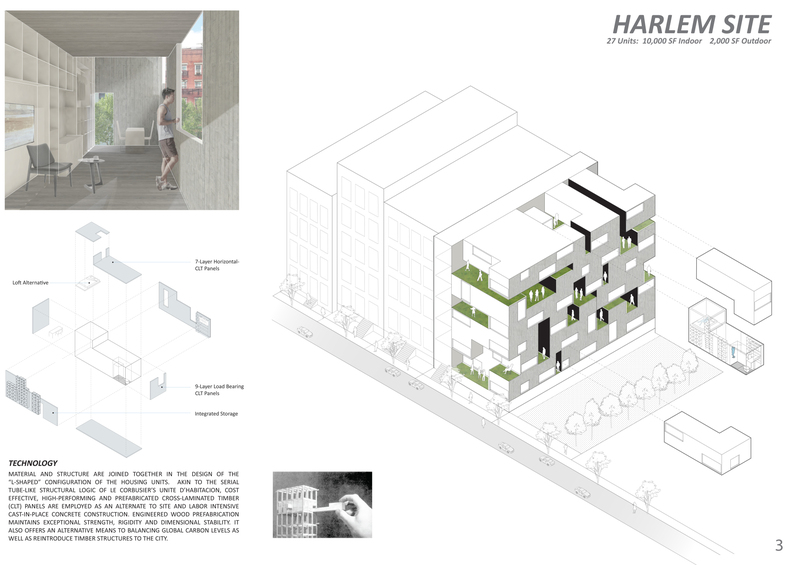 At the smallest scale of the Harlem site, units are organized to engage the street in a similar manner to the surrounding context while providing an additional layer of public engagement through voided balconies. 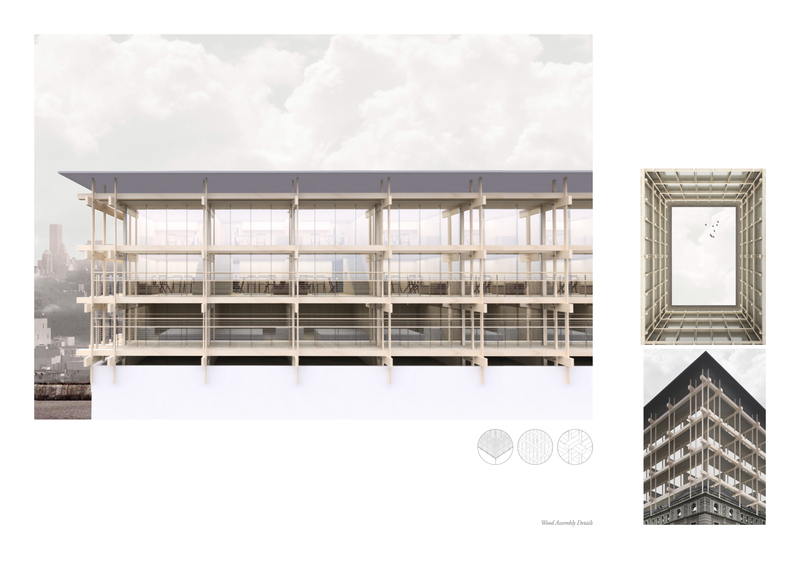 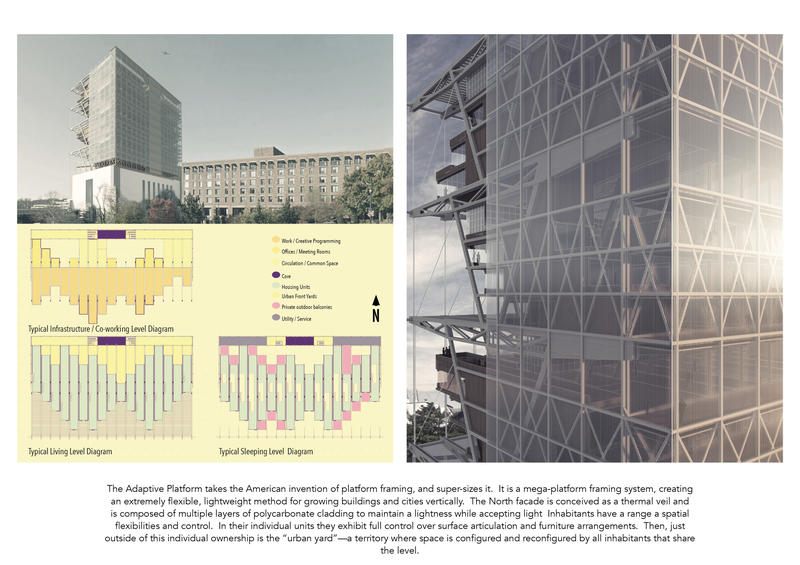 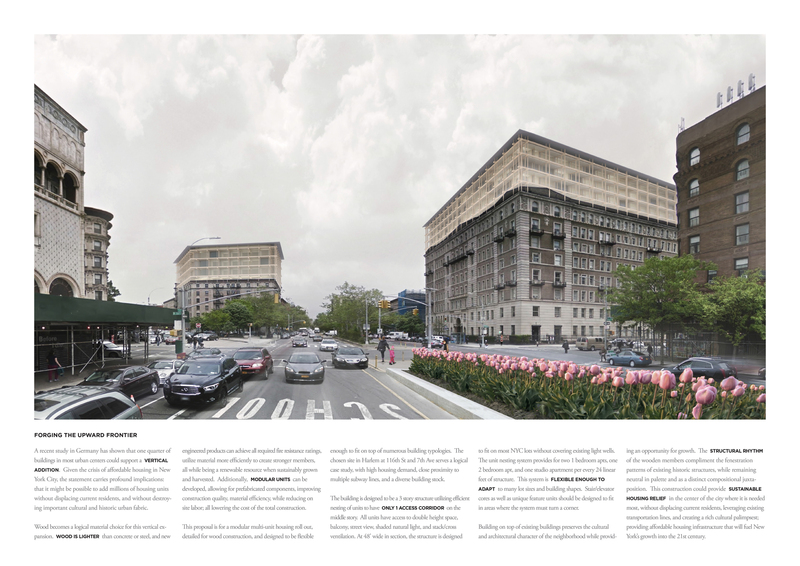 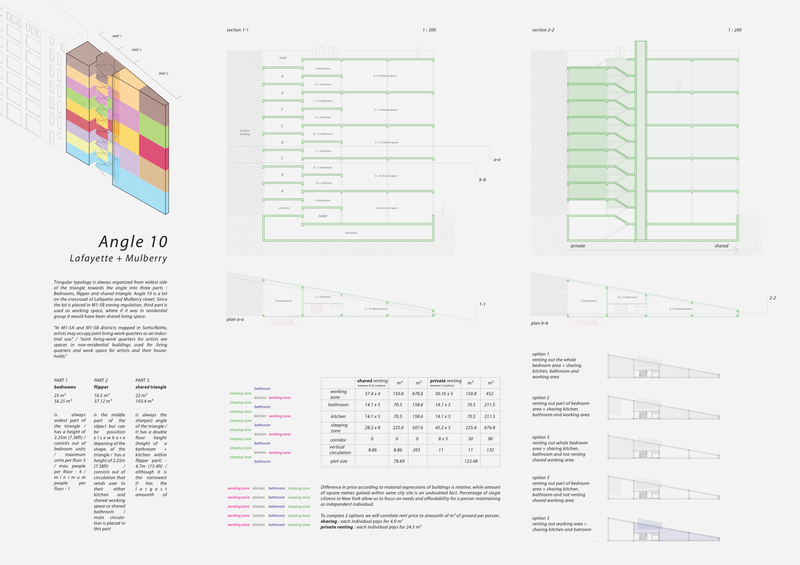 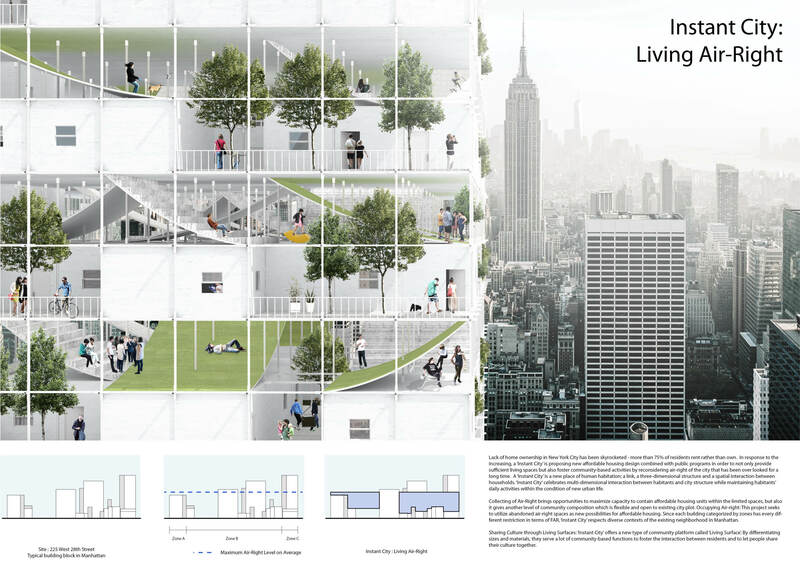 At the scale of the UN site, a strategy of larger voids is introduced to maximize exterior surface for greater opportunities of daylight, cross unit engagement, and connection to the street. 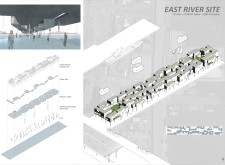 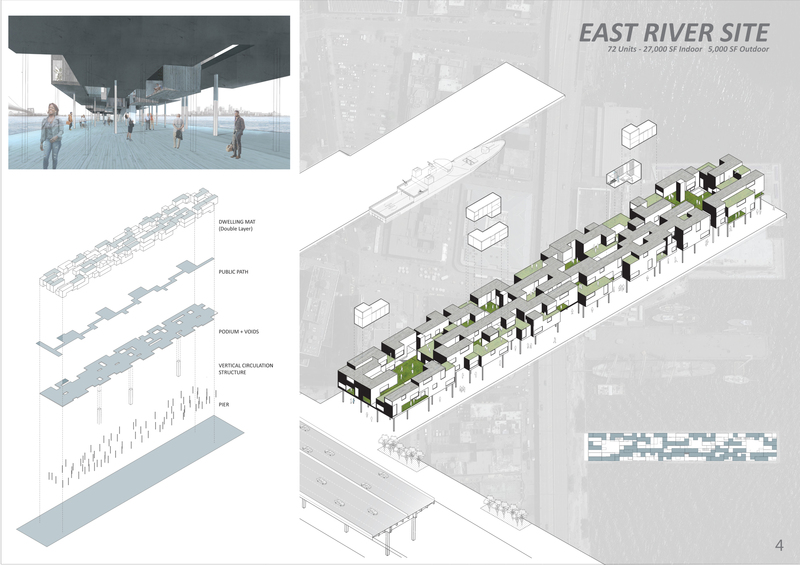 At the East River Site, the units are combined to reinforce a horizontal massing lifted on pilotis, allowing continued public use of the waterfront pier. 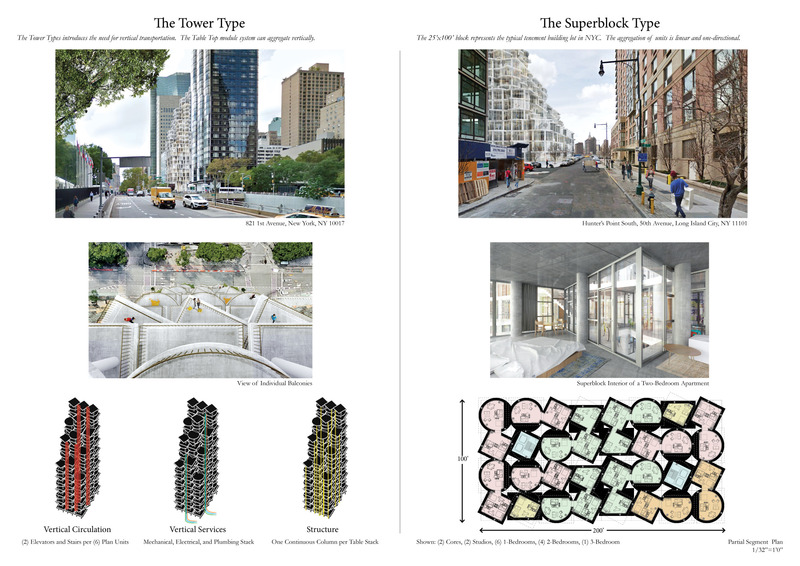 The selection of three varied New York sites demonstrates how morphologically robust the modular unit is by adapting to sites of different scale, shape, and context. 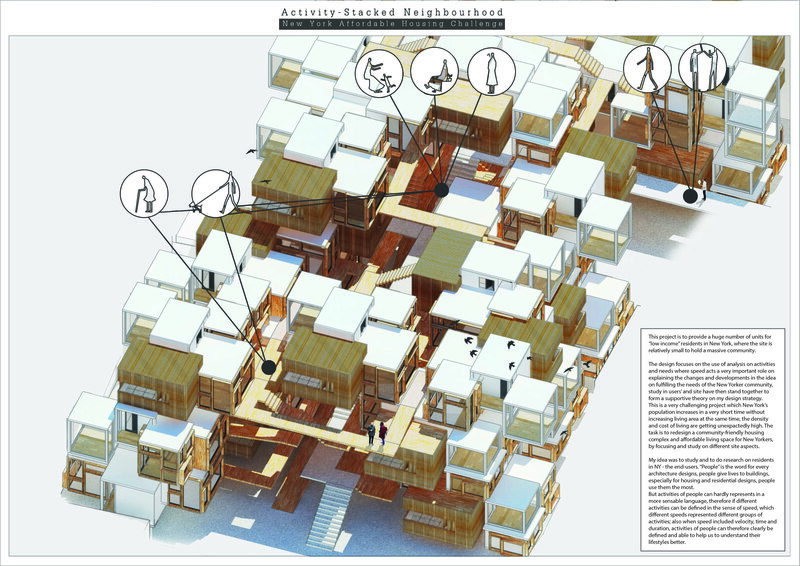 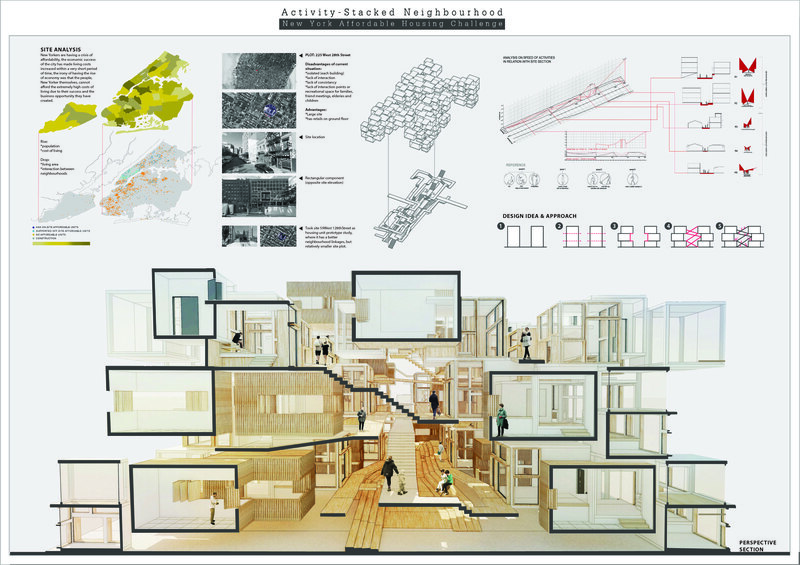 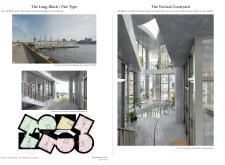 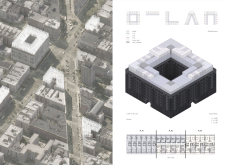 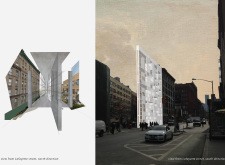 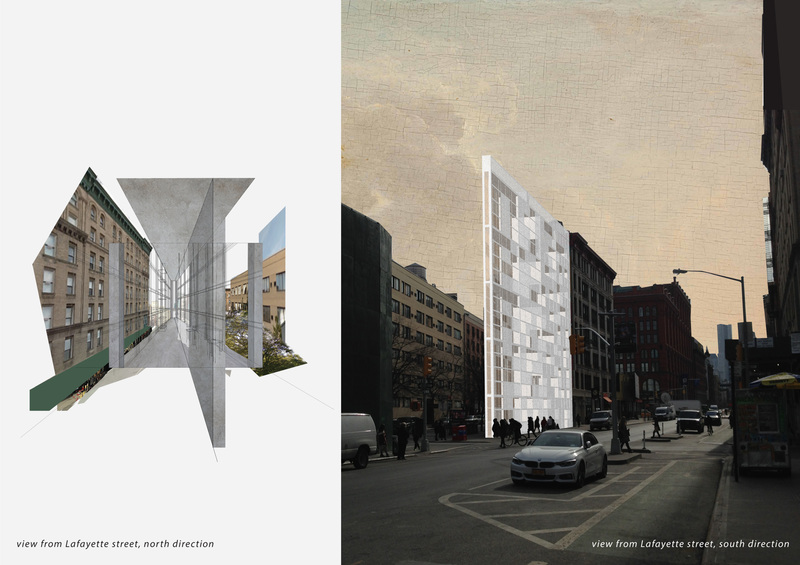 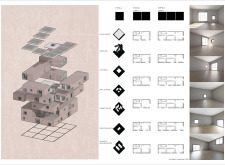 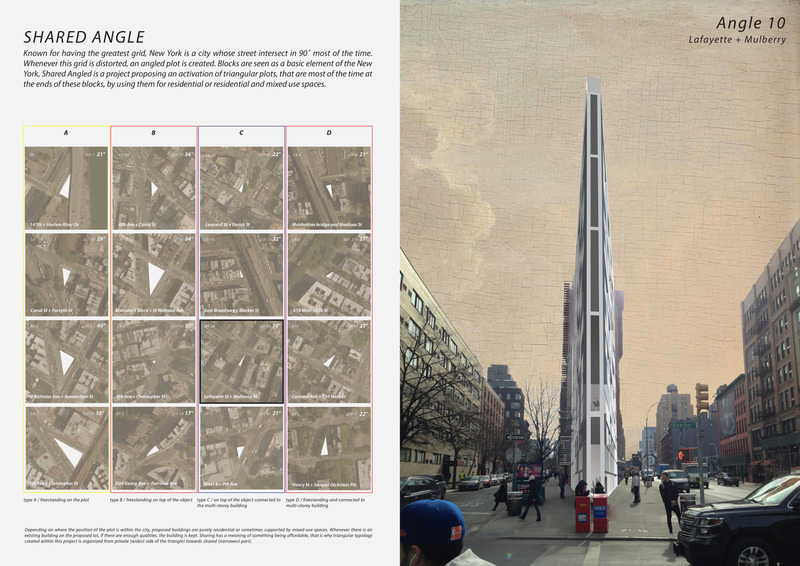 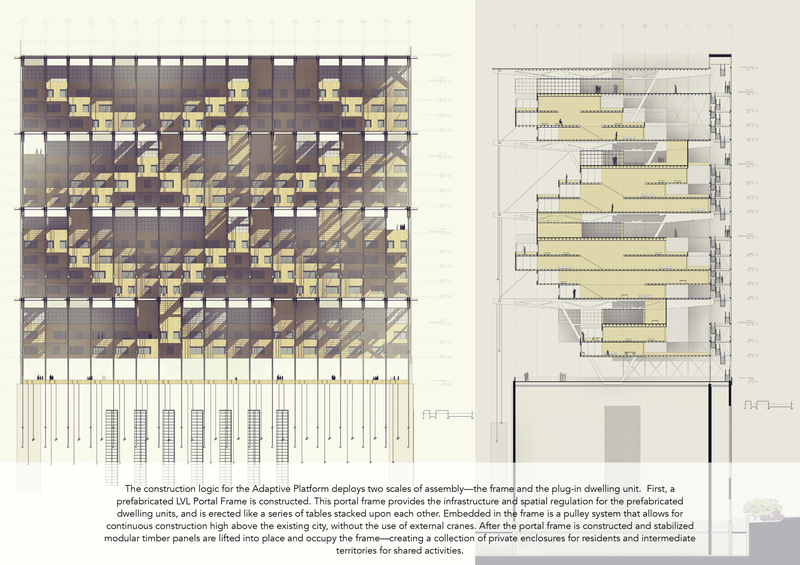 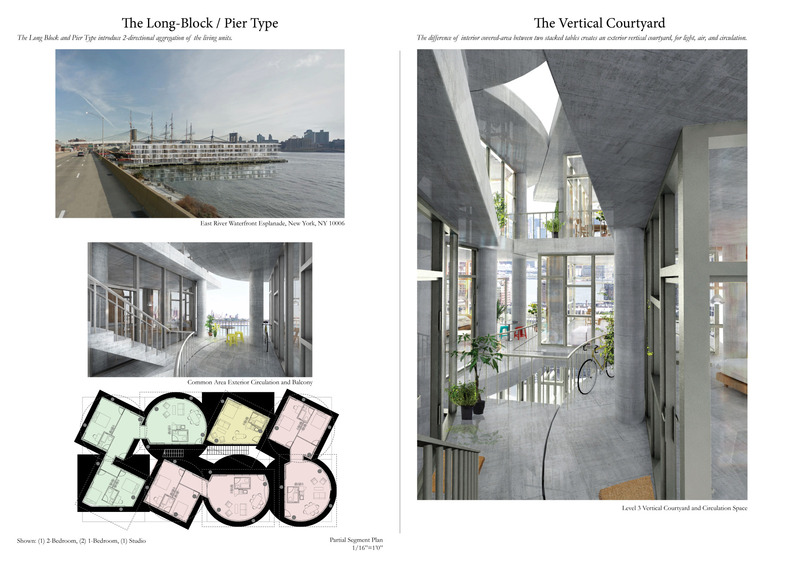 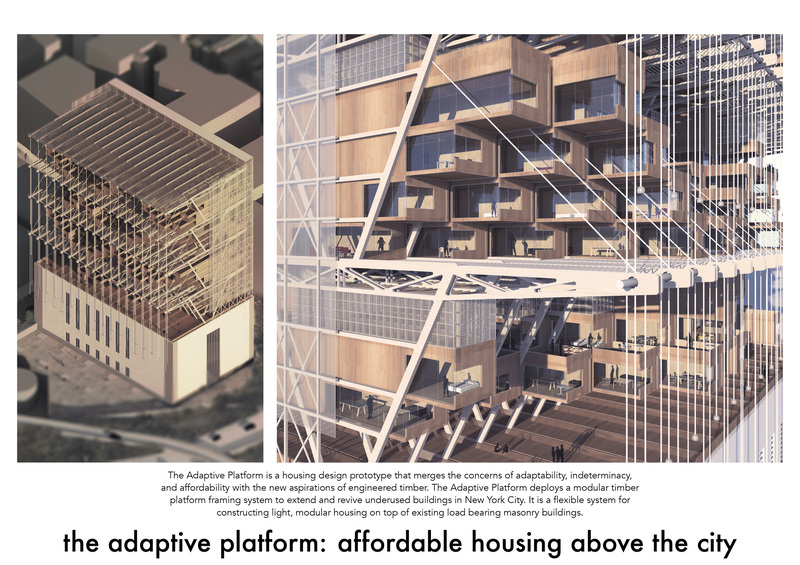 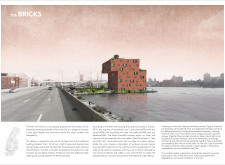 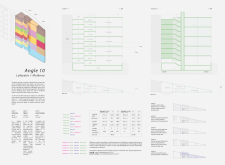 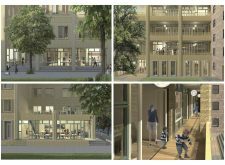 The third place entry for the New York Affordable Housing Challenge was unique in its proposition for a new paradigm of living that is as much social as it is spatial. 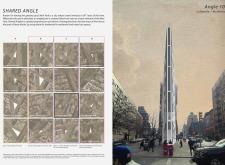 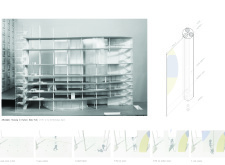 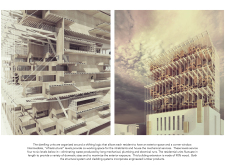 The proposal is a simple slab and column structure with vertical circulation and mechanical systems pushed to each end to create a free plan. 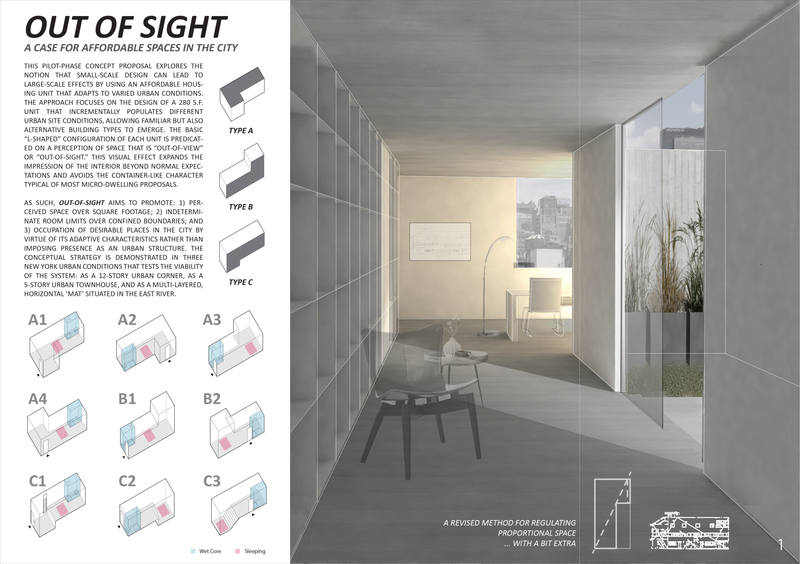 Each inhabitant has the ability to erect their own non-structural columns with fabric retractable walls, creating a terrain of private rooms within the common space of the floor. 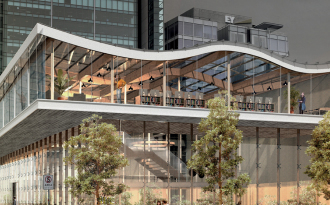 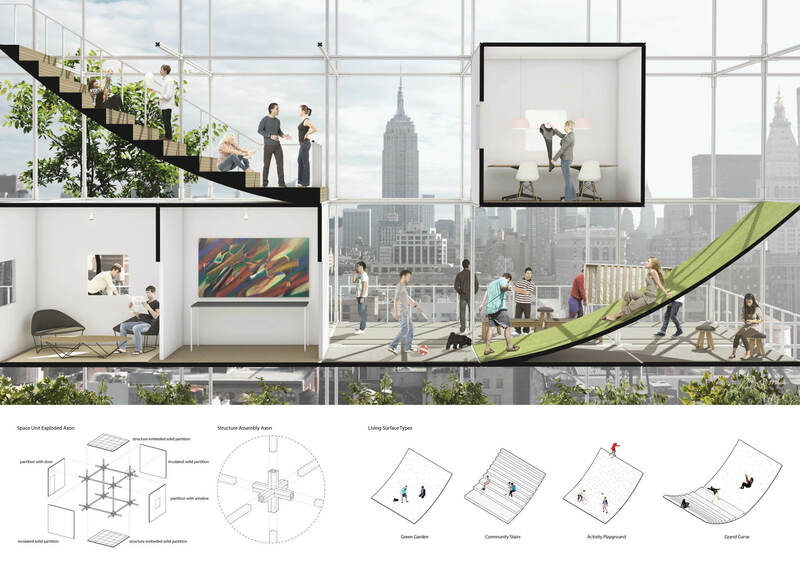 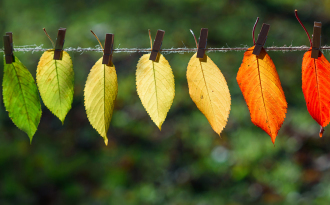 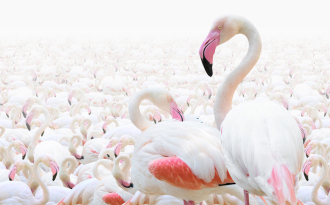 The spaces of the building can accommodate many types of users and family sizes, adapted to fulfill any requirement, indexing through use the varied and changing nature of its inhabitants. 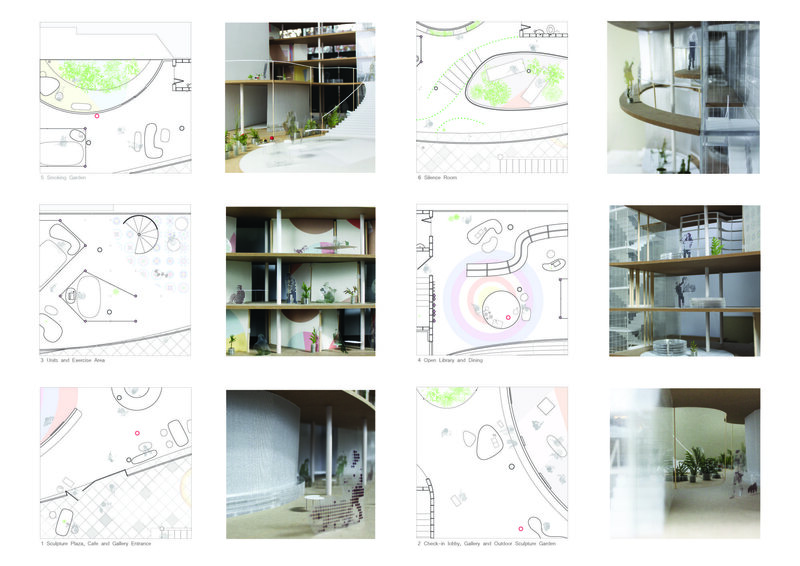 The deployable partitions create landscape of public and private space, achieving a rich and interior urbanism of zones and functions negotiated between each inhabitant. 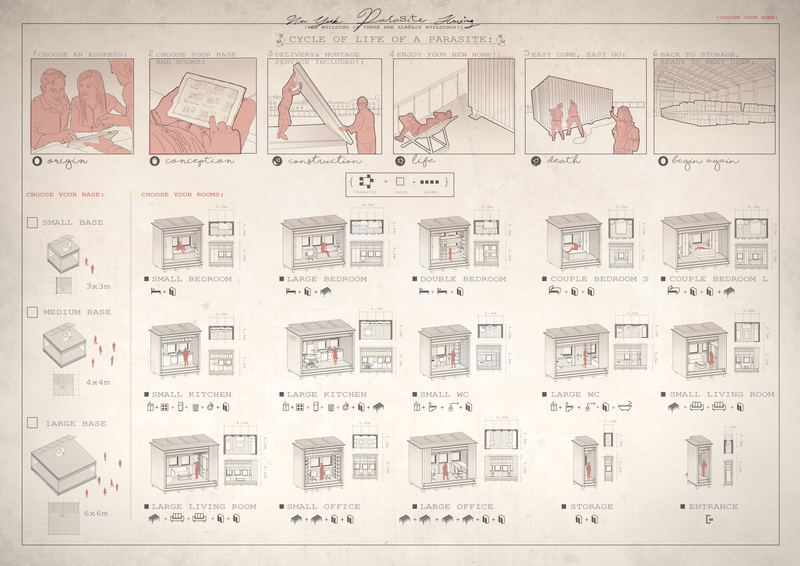 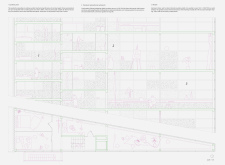 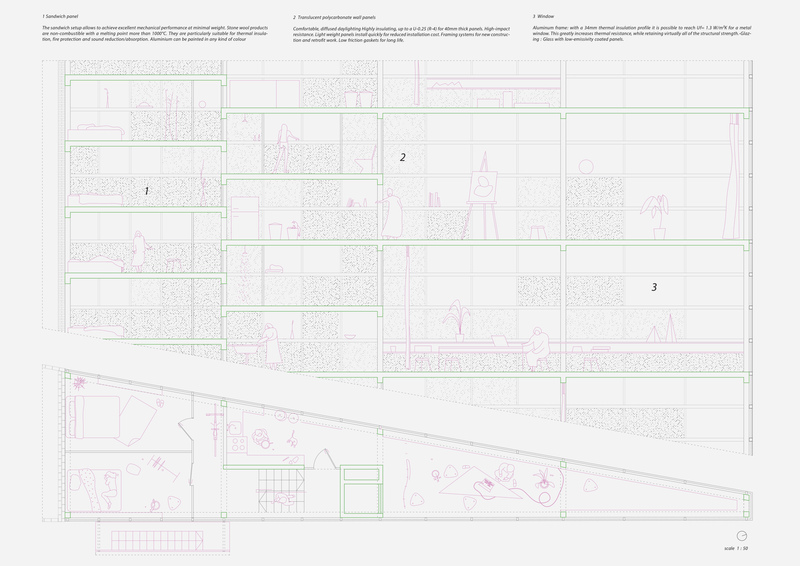 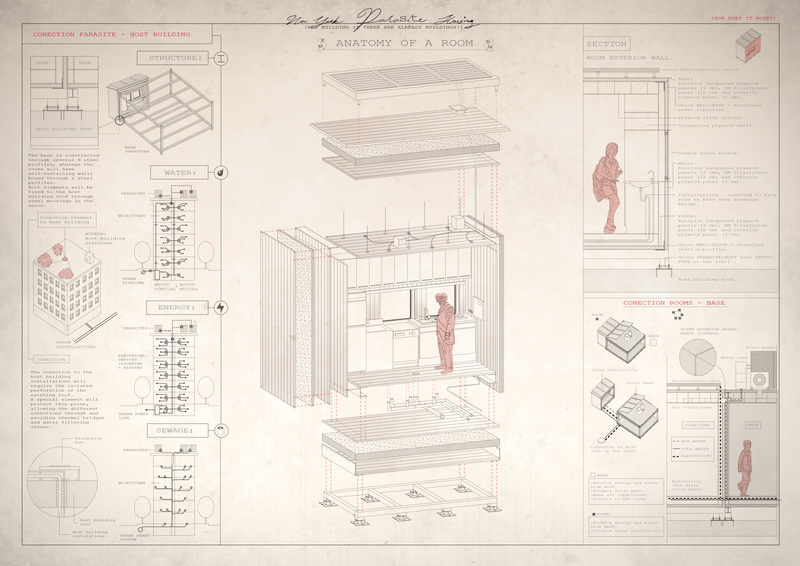 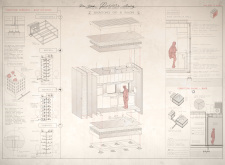 This new model for domesticity is a powerful interrogation of how affordable housing can be achieved by minimizing costly and redundant private spaces in order to utilize shared infrastructures and amenities. 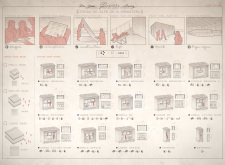 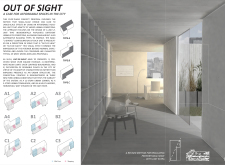 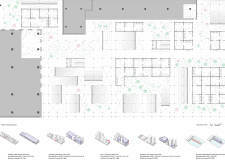 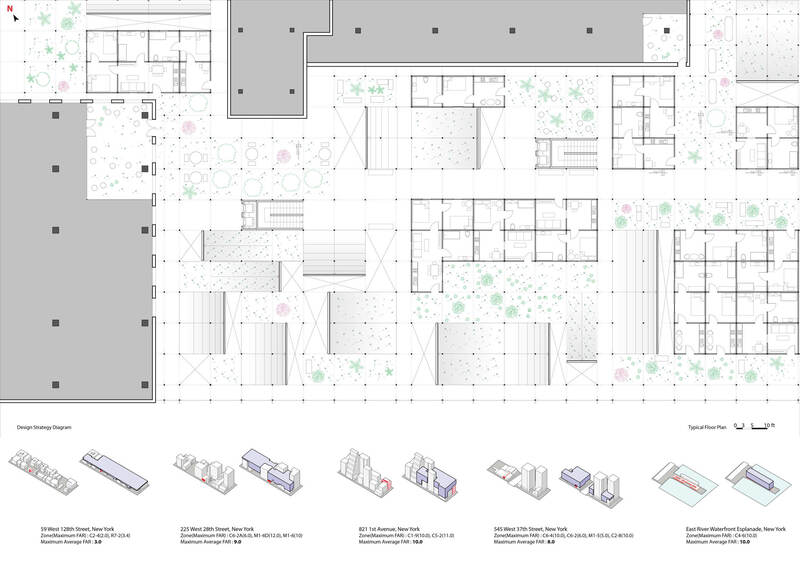 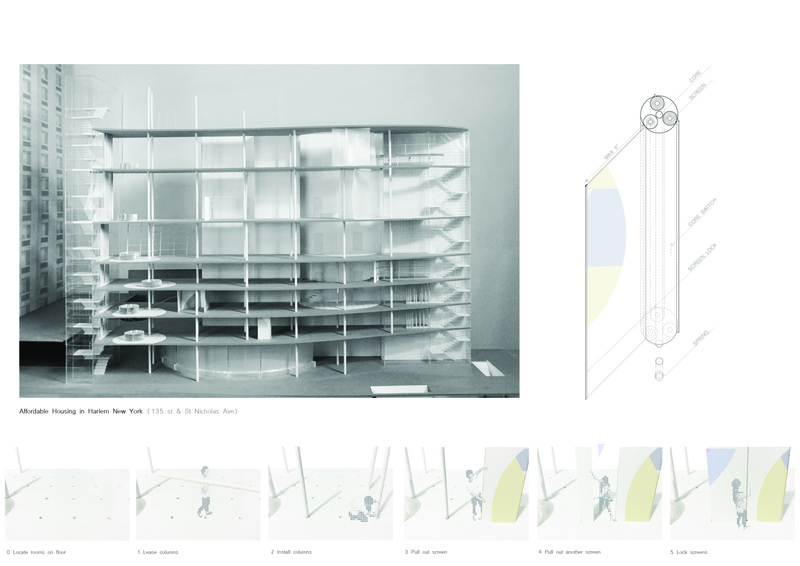 Through the collectivization of common areas, the proposal creates a generosity of space that is both flexible in its use and its function, creating a home that is no longer a series of bounded rooms with a predefined set of behaviors.